Originally from New Zealand and Australia, I have lived in the Fez Medina with my family for more than a decade. My husband, Sandy McCutcheon and I are both writers and photographers. In 2005, we bought and renovated a riad which become the subject of my book, A House in Fez. Sandy’s most recent book is Through the Peacock Gate. 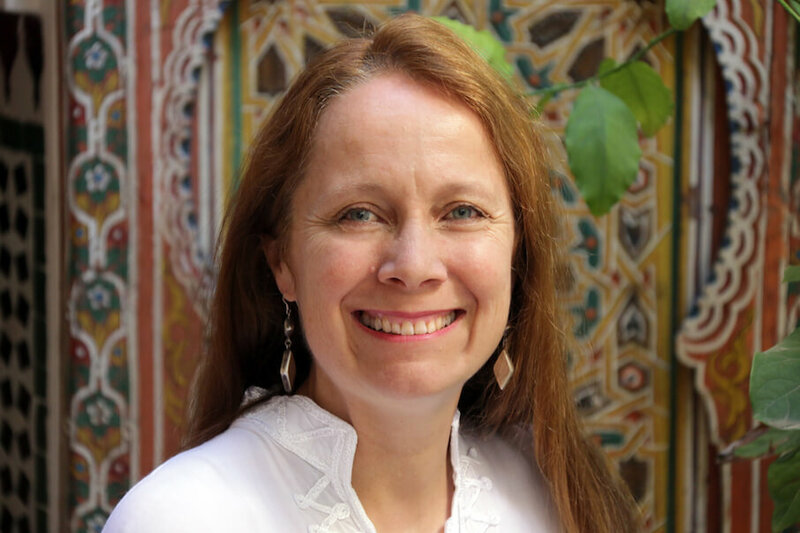 In early 2018 we purchased our second house, Dar Malika (then named Dar El Hana), from an Australian friend, Josephine Kwan. She had bought it around the same time we had purchased our riad, so we had shared the trials and triumphs of the challenging renovation process. Dar Malika is more than 300 years old, and originally belonged to the local Iman. Josephine renovated it with care and taste, and opened it as a guesthouse in 2006. It has had an excellent reputation as being a welcoming and comfortable place to stay, and we are continuing the tradition. Since we have owned Dar Malika, we have refreshed the decor and added some extra touches of luxury. I also manage Apartment Lumière for another Australian friend. Our staff and I will do everything possible to ensure your stay is an enjoyable one. We offer breakfast and dinner on request, and a selection of drinks and snacks for purchase. We can arrange transfers from the airport or train station, tours of the Medina, experiences such as a cooking, craft or Moroccan dance class, and a car and driver for trips further afield. 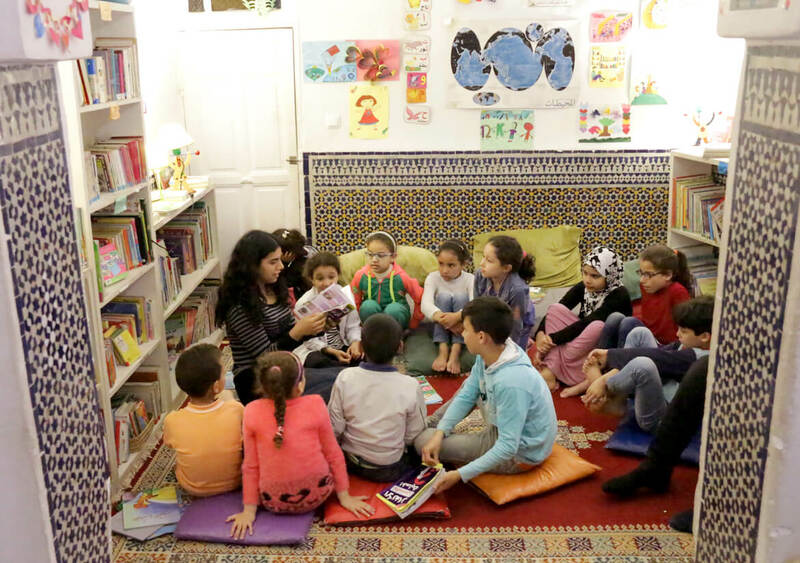 In 2015, I co-founded the Medina Children’s Library, which aims to encourage a love of reading in the children of the Fez Medina. It operates entirely by private donation, and is only a couple of minutes’ walk from Dar Malika. Please come and visit! We run a blog, The View From Fez, which posts daily stories and features about local and national events in Morocco. If you are visiting France, please check out my website Bordeaux Apartments, which offers beautiful apartments in the historic centre of the Bordeaux, and characterful places to stay in the Dordogne.